The High Technology Foundation is developing complete hardware/software system for face recognition of uncooperative subjects from video. 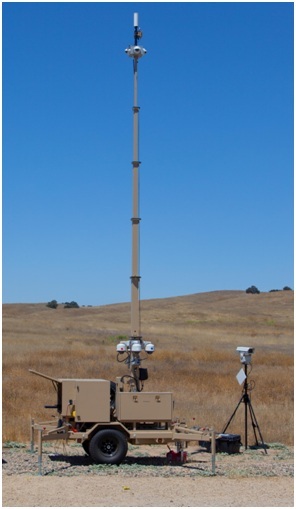 This system uses pan-tilt-zoom (PTZ) cameras to track uncooperative moving subjects over a wide area up to 30-m in radius, capturing close-up facial imagery, and performing computer face recognition to identify the subjects. The system also uses stationary high-resolution cameras to capture facial imagery of subjects moving through a choke point at distances > 100 m. The High Technology Foundation’s intelligent surveillance system has been developed to function on a variety of platforms, including trailer-mounted systems and battery operated mast-mounted systems.